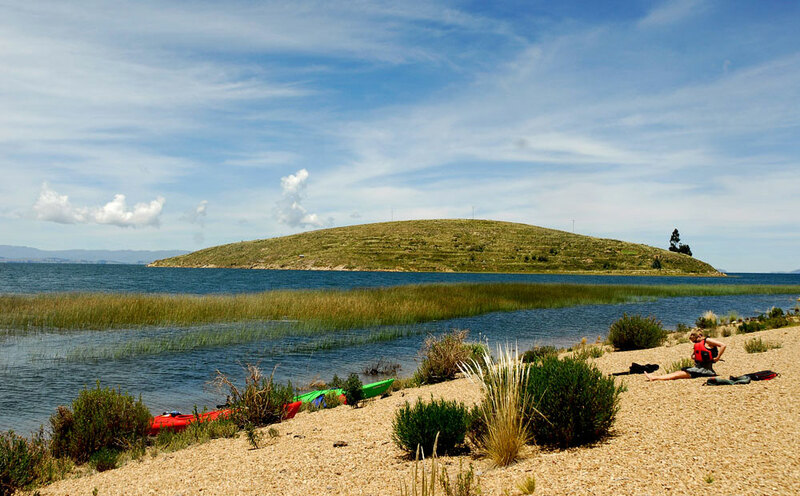 Lake Titicaca is divided in two by the Peninsula of Copacabana: Lago Mayor (main lake) is the northern part and the Lago Menor (minor lake) or Lake Huyñaymarca is the southern part. 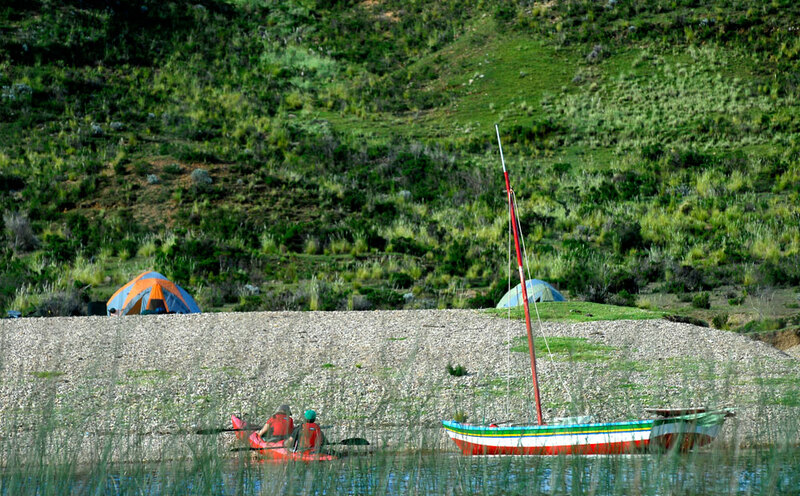 Our expedition is focused in the Huñaymarca archipelago, a very little known region, rarely visited by tourists. 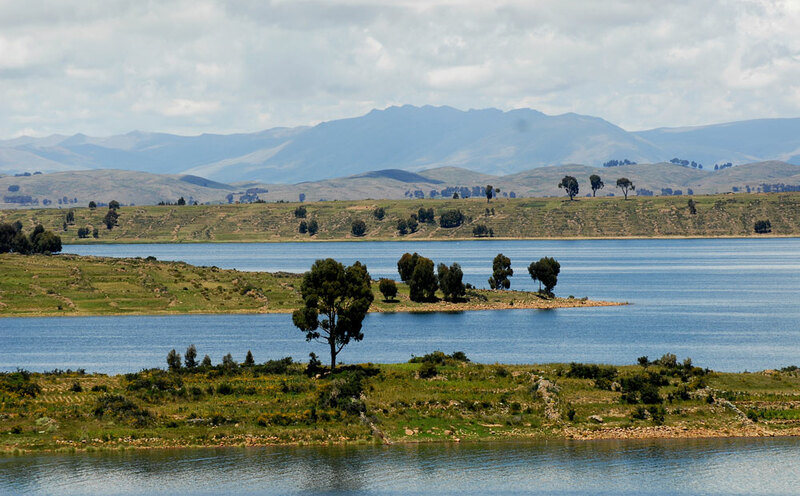 In this place we will learn more about local customs by spending a night in a family house, sharing lunch in desert islands and camping in places where vicuñas will be our only company. 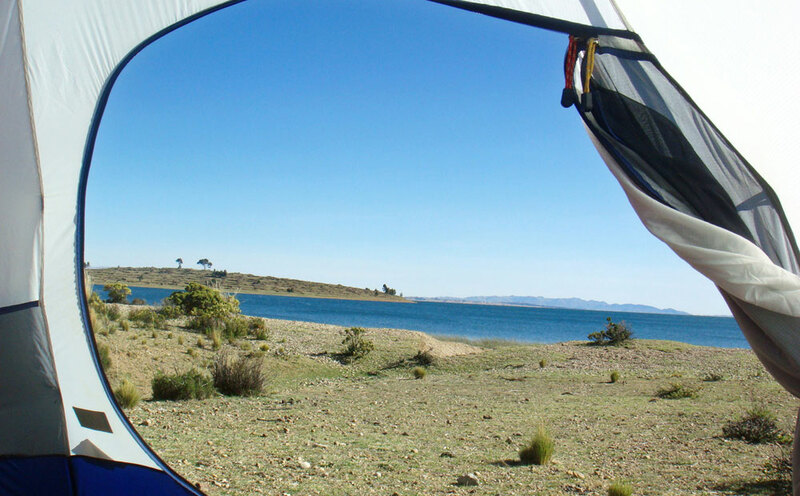 We’ll also catch sight of vizcachas and a great variety of birds, some of them endemic and endangered species. Arrival in Puno. Meeting point at the hotel or airport. 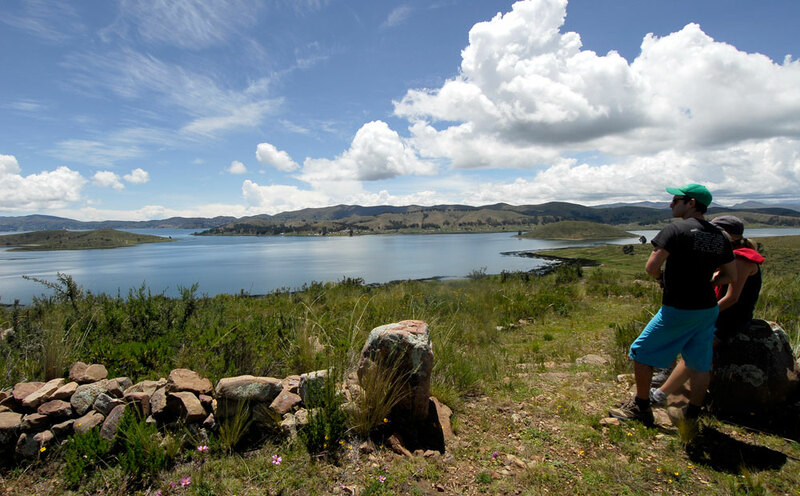 We leave Puno heading south, passing by the villages of Juli, Ilave and Yanguyo, until we reach our embarkation point in Punta Hermosa. Here we move the kayaks and all the equipment into a motor boat and head to the island of Anapia (90 minutes). Upon arrival, local families welcome us and provide accommodation in their homes. 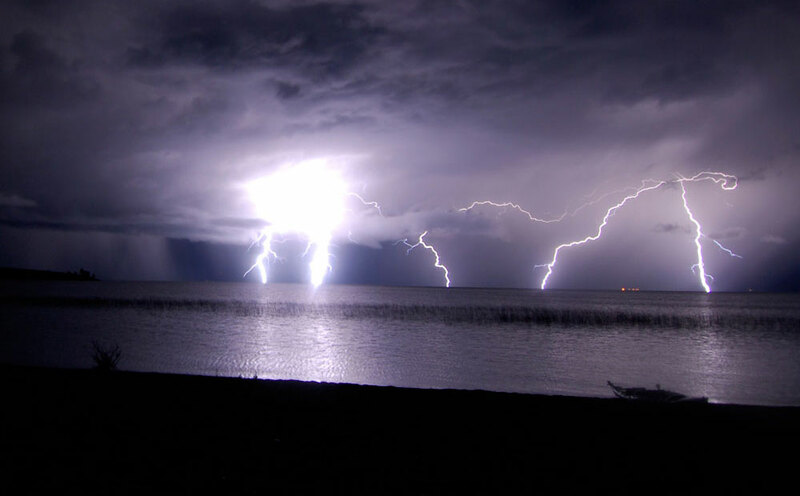 In the afternoon, we will have a short kayak practice. After breakfast each at his host family, we will meet in the spring to start your journey. Begin circling the island of Suana and Ccaño, then head to the island of Yuspique. We will be escorted by a artisanal fishing sailboat that take our things and accompany us during our journey. 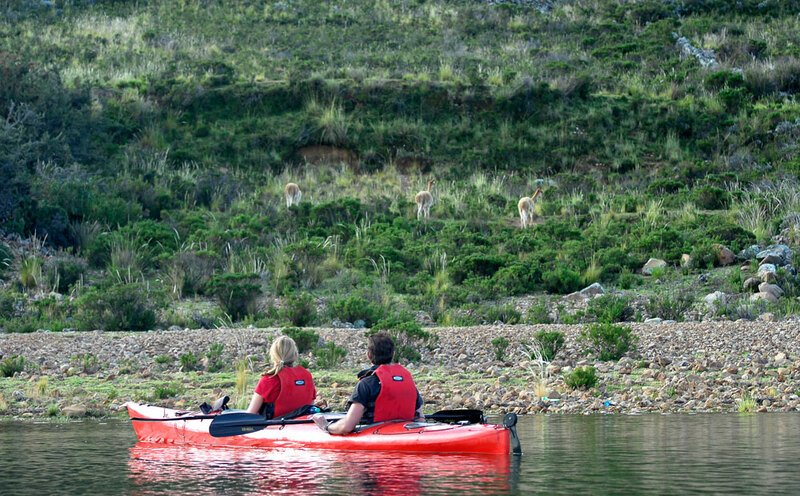 In Yuspique we will hike and see a family of vicuna, only inhabitants of the island. We will hike to an Ushnu at the top of the island with a spectacular view of 360 degrees, with a view of the Cordillera Real. Then we will camp under the stars where we will sightings major constellations of the southern hemisphere. After breakfast at the camp, we will continue our journey around the island crossing some small deserted islands ( some of them in Bolivia ). 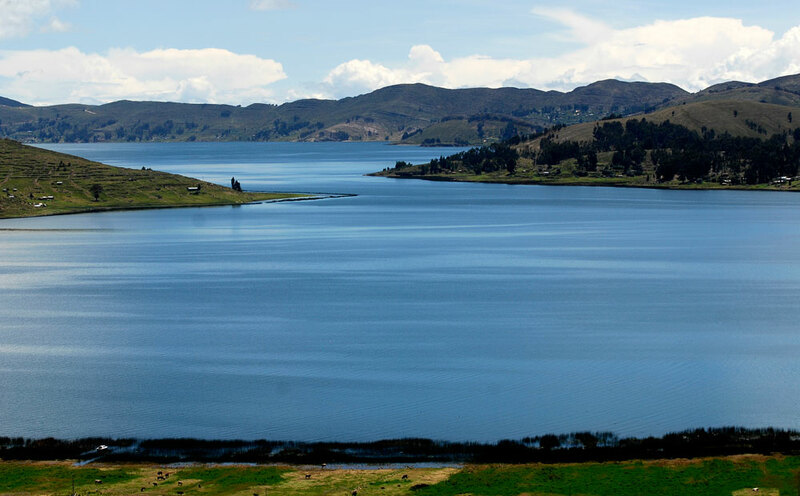 During the tour we will see a variety of birds like the Titicaca Grebe (endemic bird) or Siete Colores del Totoral. 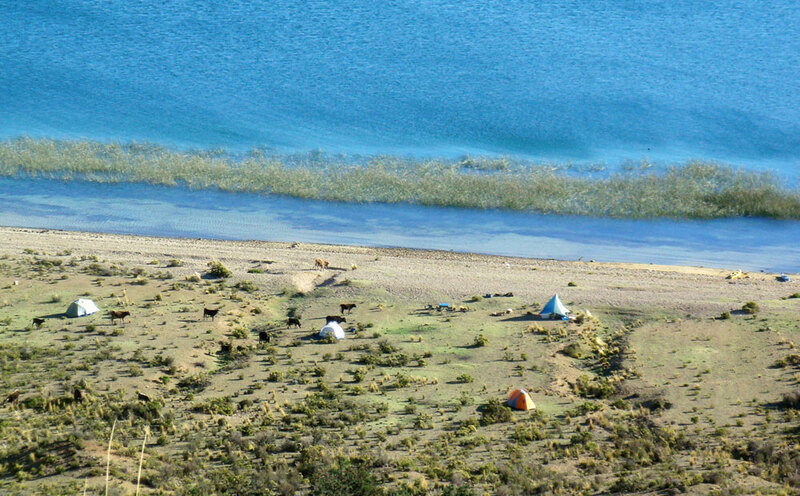 We will arrive at our camp on a beautiful beach on the island of Ccana, where only 12 people and hundreds of vicuñas live. Astronomy night and campfire. On our last day of travel, we will leave the camp heading north,this will be the longest leg of the journey, passing the island of Iscaya to finally reach our destination in Punta Hermosa. 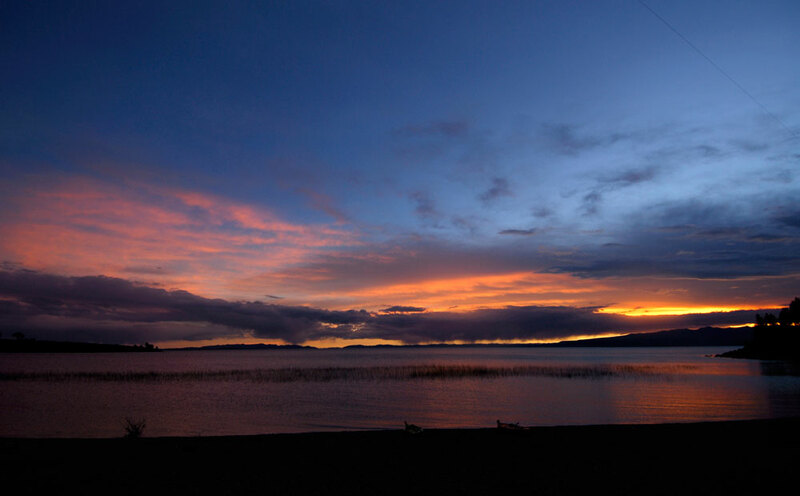 Once there, we will find our vehicles, load the equipment and return to Puno. Arrival at the hotel or airport. Each day we will paddle between 2 and 4 hours. Altitude: 3815 mosl all the time / 12530 ft all the time. Expedition sea kayaks, paddle, skirt, splash jacket, lifesaver. All transportation from Puno to Puno. Motor boat from Punta Hermosa to Anapia. Chef and assistant that will give us 3 meals daily plus snacks in the morning and afternoon. Tables, chairs and full kitchen equipment. 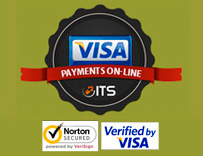 Check out this great website, I found this itinerary. 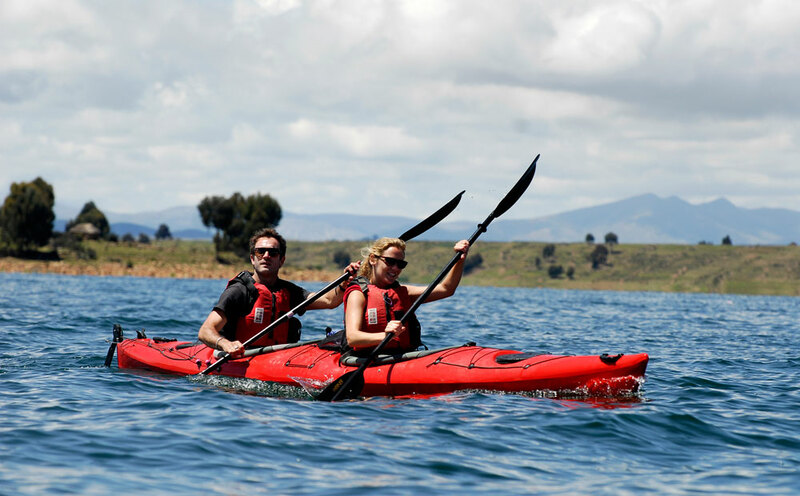 Click here: http://munaycha.com/experience-by-activity/SEA-KAYAK-IN-MINOR-LAKE-TITICACA Thanks for reading!